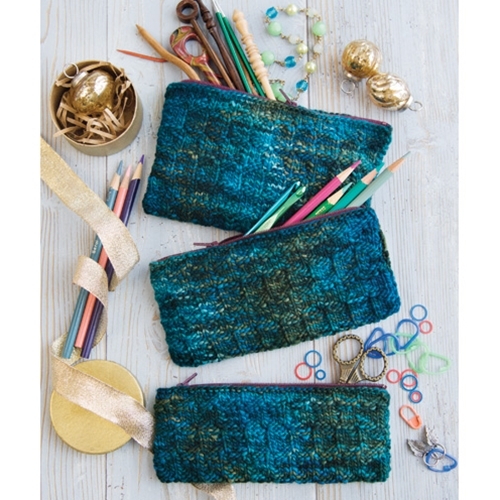 These pouches—sized to fit double points, stitch counters, tape measures and more—are knit as one panel, then folded and finished with a zipper closure. Sized for Small, Medium, Large. 24 sts and 36 rows to 4"/10cm over pat st using size 4 (3.5mm) needles.